Diabetes mellitus (DM) and periodontitis are two common chronic diseases with bidirectional relationship. Oxidative stress plays a key role in the pathogenesis of these two diseases. The aim of this study was to investigate the effects of melatonin supplementation in adjunct with non-surgical periodontal therapy on periodontal status, serum melatonin and inflammatory markers in type 2 DM patients with chronic periodontitis (CP). In this double-blind clinical trial study, 50 type 2 DM patients with CP were randomly allocated to the intervention and control groups. The intervention and control groups received either 6 mg melatonin or placebo (2 tablets) once a day. 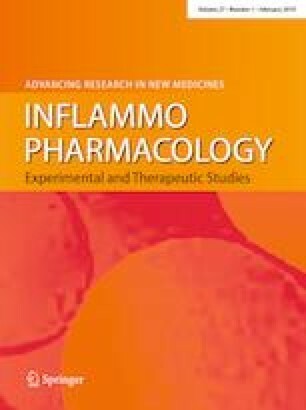 Serum levels of melatonin, tumor necrosis factor-alpha (TNF-α), interleukin-6 (IL-6), hs-C-reactive protein (hs-CRP), clinical attachment loss (CAL), pocket depth (PD), bleeding on probing (BOP) and plaque index were evaluated in all subjects pre- and post-intervention. Melatonin supplementation significantly increased the mean serum levels of melatonin after intervention. The mean changes of melatonin were significantly higher in intervention group compared with control group. IL-6 and hs-CRP levels were significantly (p = 0.008 and p = 0.017, respectively) reduced in the intervention group. The mean changes of IL-6 were significantly lower in the intervention group compared with the control group (p = 0.04). In the intervention group, PD and CAL were significantly decreased after intervention (p < 0.001). There were significant differences in the mean change of PD and CAL between the intervention and control groups after intervention (p < 0.001). Melatonin supplementation in adjunct with non-surgical periodontal therapy might improve inflammatory and periodontal status in T2DM with CP. This study is part of the M.Sc. thesis of MR Bazyar. This work was financially supported by a grant (NRC-9507) from the Vice-Chancellor for Research Affairs of Ahvaz Jundishapur University of Medical Sciences. The authors thank the Nutrition and Metabolic Disorders Research Center, and Research Center of Diabetes, Endocrinology and Metabolism clinic employees of Ahvaz University Golestan Hospital and Dental Clinic of Ahvaz Jundishapur University of Medical Sciences.